Some of Andi’s favorite adventures are in the kitchen. When she was little she loved banging on pots and pans while the grownups cooked. As she got older, she was no longer satisfied sitting on the sidelines while everyone else had all the fun! Andi is now an active participant in many cooking adventures. 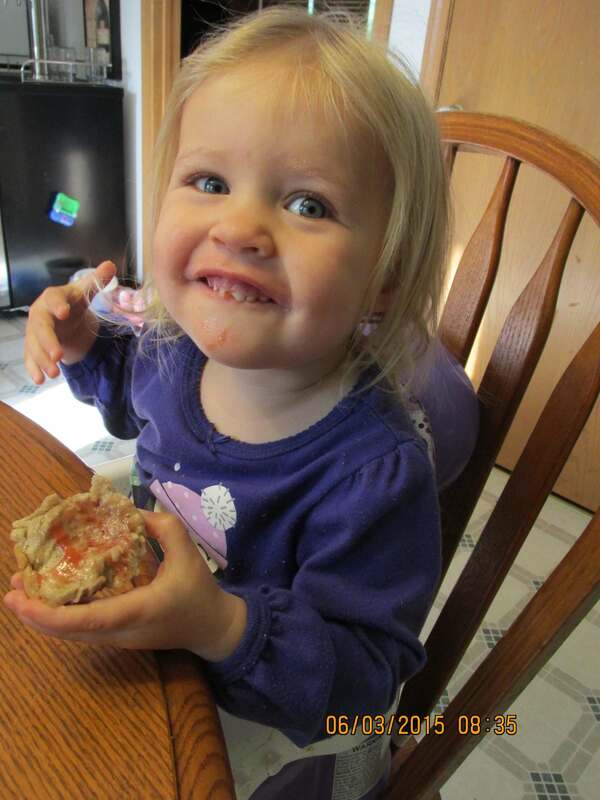 She is great at stirring, dumping ingredients, and helping clean up – she loves to wipe up spills and helps sweep! Earlier this summer we bought local honey and baked honey wheat bread. Andi loved helping knead the dough. 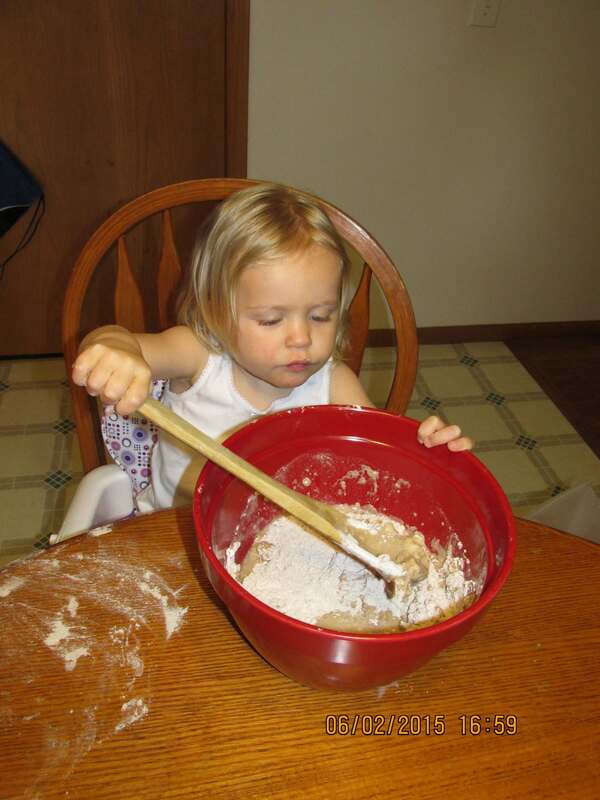 Cooking experiences are fantastic for young kids for many reasons. Farm to Preschool research states, “Young children are active learners who experience the world through their senses, physical involvement, active play, and from behaviors modeled by adults and peers. Research shows that nutrition education for young children can prove instrumental in influencing the development of healthy eating habits while also supporting kindergarten readiness.” When kids have hands-on experiences with foods, they are more likely to try new foods and build healthy eating habits. 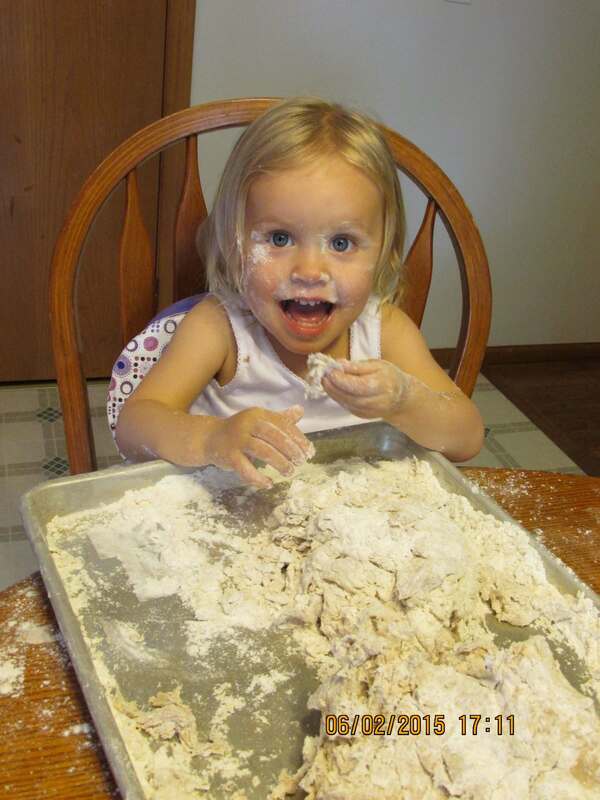 Cooking is an extremely educational activity for young kids. It supports vocabulary development and other early literacy skills. It is a great opportunity for kids to work on fine motor skills as well as listening and following directions. Cooking is also great for math skills. Kids can practice counting, number identification, measurement, and sequencing. Stay tuned for next week’s blog for tips and safety for cooking with kids, and have fun with your kids in the kitchen today! Tasting the finished product – YUM!